Sapphire, a member of the corundum family of gemstones, is mined in many locations including Cambodia, Kashmir, Ceylon, Australia, Tanzania, Rhodesia, Brazil, and the United States of America, mostly in Montana and North Carolina. Sapphire is hand mined by screening and washing the gravel beds where the gem crystals are found. The crystals are then hand cut using "Laps", flat, plate-like disks covered with diamond particles, to form the various facets on the gem. In times past people believed the Sapphire to be a powerful defense from bodily harm, as well as protecting the wearer from envy and attracting divine favor. The Sapphire is as blue as the pure sky, and mighty nature has endowed it with such power that it is considered sacred and known as "The Gem of Gems". 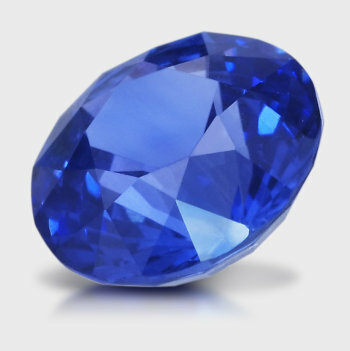 The Gem Junkies have dedicated 2 whole podcast episodes to Sapphire and all its colors.